Click on the link to find more information about each event. Bring the whole family out for a beautiful morning of trail running along the beautiful Truckee River. The race starts and finishes at the Riverview Sports Park in Truckee. Try a 5K or 10K along the Legacy Trail or a Half Marathon featuring the scenic trails and single track of Waddle Ranch. Shorter kid’s races are scheduled throughout the morning. This is great course featuring epic valley and peak views and the Truckee River corridor. Start and Finish in the Village At Squaw Valley. The course distance is approximately 7.88 miles. The run is held on the Truckee River Trail, which is paved. The start is at Commons Beach in Tahoe City. This race is open to individuals and to teams of 5 or more. For teams of 5 or more we will take the best five times of the team. 6K, 12K, Half Marathon Distances available. The Burton Creek Trail Run takes place on a beautiful, fun and challenging trail system within Burton Creek State Park. The Run to the Beach 5K or 10K starts in the North Tahoe Regional Park. From the park runners have the option of a 5K or 10K course leading them through native pine forest and scenic single track down to the finish on the Beach at the Tahoe Vista Recreation Area. The Big Chief 50K features a loop course in North Lake Tahoe showcasing many of the areas fun and scenic trails. Course options include the Truckee Half Marathon, Truckee 5K, and Kids distances. All distances start and finish in Historic Downtown Truckee. This Truckee Running event showcases the diverse beauty of sierra landscapes and gives runners a taste of our wonderful mountain town.The Truckee 5K benefits Sierra Education Watershed Partnerships. The Marlette 50K is a truly adventurous romp through some of planet earths most scenic and challenging trails. Based at Spooner Lake in Lake Tahoe Nevada’s State Park the run features 30 miles of epic trail and view. Think prime Sierra single track and add in 360 degree panorama views of Lake Tahoe, the Carson Valley and Range. Marlette Lake lies in the middle of the course and if you’re heating up during the run feel free to take a plunge. The Marlette 10 Miler is no slouch as with a start at Spooner Lake and then a round trip to Marlette Lake and back. 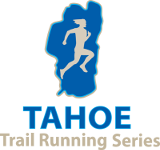 This classic trail run occurs on the same day as the XTERRA Lake Tahoe off-road triathlon in Incline Village. Hit the dirt, looping a beautiful trail system throughout Incline Village, NV featuring tall pines, aspen groves and creek crossings. The course starts and finishes in the Village Green Park. Runners have the option of one lap for the 5K or two laps for the 10K race. Easily one of the most beautiful trail run in the series, the Emerald Bay Trail Run starts at Eagle Point and takes runners on a 7.5 mile/12K course around Emerald Bay and up the Rubicon Trail into D.L. Bliss State Park before finishing back on Lester Beach. Plan on spending the entire day in Lake Tahoe for this one, because once you’re done with the race you won’t want to leave! Come on out to Squaw Valley and start your Oktoberfest off with a the Lederhosen 5K Trail Run. The course is out and back on the Squaw Valley Trail featuring epic views of Squaw Valley and the mountains. Contest for the best Lederhosen and Dirndl! After the awards and raffle enjoy the annual Squaw Oktoberfest.